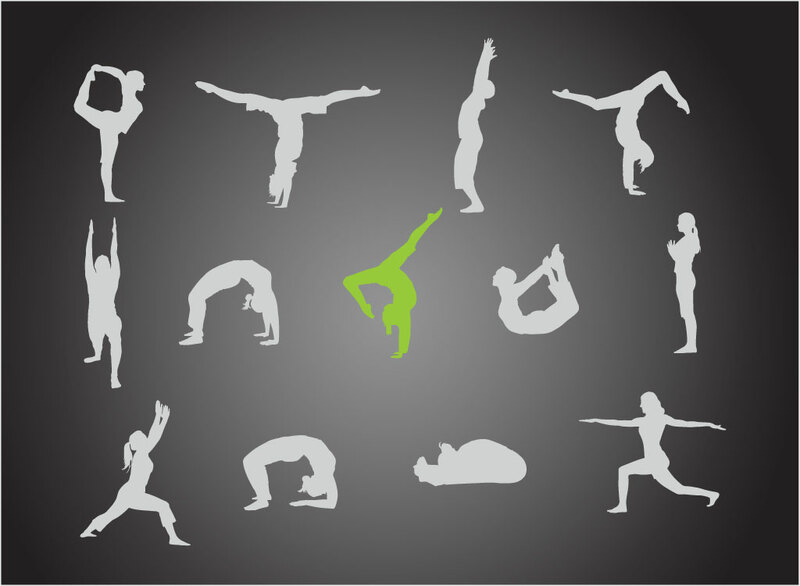 Silhouettes of famous yoga poses for your fitness, leisure, physical exercise, relaxation, motion, meditation, recreation, training and workout graphics. Free set of thirteen different vector people practicing yoga. Wide variety of poses including basic positions and dynamic stretches. Download these useful graphics for your healthy living themes, yoga studio logos, symbolic illustrations and fitness instructional posters. Tags: Gym, Meditation, Pose, Spirit, Training, Workout, Yoga Positions, Yoga Vector.